A lot of people are talking about cat furniture these days, but before you buy one, it is important that you know what exactly cat furnishing is and what is its different kinds. 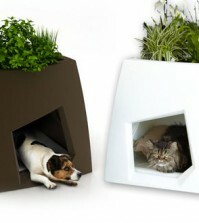 As the name suggests, it is furniture specially designed and made for the cats and these can satisfy their daily needs of scratching, climbing, playing and everything else they do. There are different kinds of furniture and based on their height, there is tall one known as car trees and there is also a small one like playgrounds and scratching posts. Amongst all the available furniture, cat trees are what can serve all the needs of your cats and the scratching posts can serve few of their needs to some extent. As you start looking for furniture for your cat, you will come across many models and choosing the right one can be really confusing. 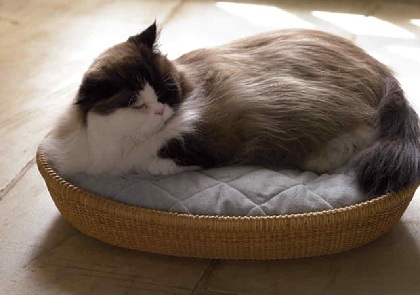 First and foremost, it is important that understand the needs of your beloved cat and then make the selection. Also, the budget is another factor that you need to keep in mind. Also make sure that you’re investing in quality products. Going by the general rule, the more you pay the better quality you get. If you find feline furniture that is cheap, then they probably are not of good quality and have been poorly constructed and hence, are not safe for your cat and these would not even last very long compared to the expensive ones. Real wood is definitely the best choice as far as the furniture for your loving cat is concerned, but real wood can be really expensive. It is durable and being heavy is also very stable. The only drawback with wooden cat furnishings is that with time, small cracks might appear on them, but this is not a major problem as this would not affect the stability and the furniture would last for many years. Also keep them away from extreme temperatures. Plywood is another option that you can go for and these are less stable than the wooden ones, but are smooth when compared to pressed woods. When choosing the covering material, there is something that you must know and that is cats do not really about the material that is covering their furniture. They are more concerned regarding whether there are extra condos, perches, hammocks cradles and tunnels and they love it when the furniture is tall so that they can climb and play. Some cats do not play in furniture that is covered and hence, this is something that you need to find out yourself. Faux fleece and faux fur are the most common materials that this kind of furniture is covered with and both of these are durable and last for many years. Carpet is also used and this lasts longer and is thicker. Go for cat furniture that comes with sisal ropes.